Vivien and Jack Merivale in their room at the Huntington Hartford Hotel in Pasadena during the American tour of Duel of Angels. 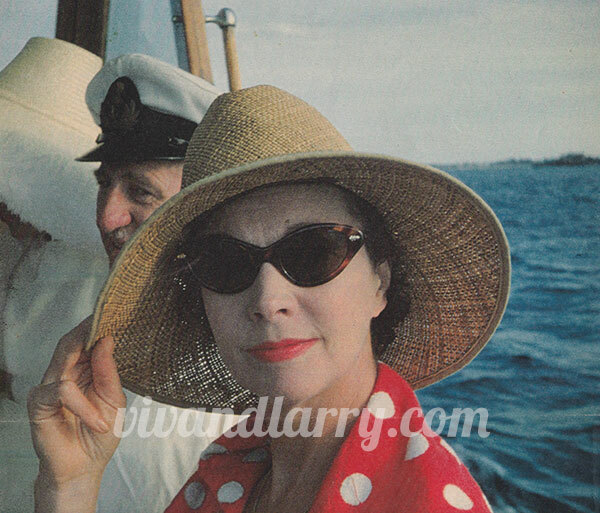 This was possibly taken by Robert Helpmann, who directed this leg of the tour and who was constantly at Vivien’s side. 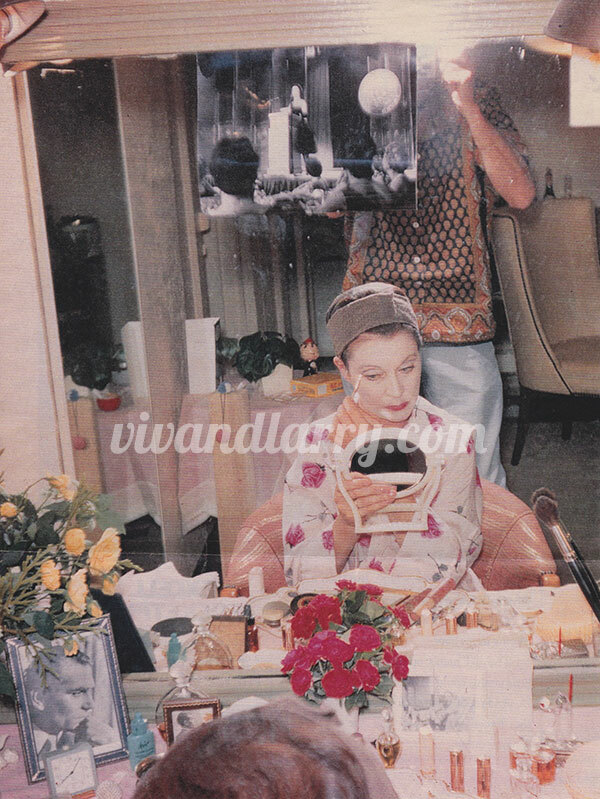 Vivien applies her make-up in her room at the Huntington Hartford Hotel. 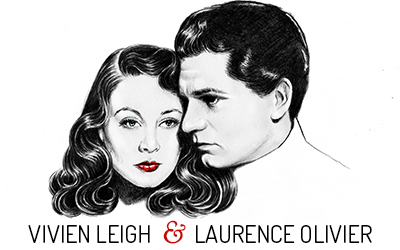 Jack Merivale can be seen in the mirror behind her, and on her dressing table, three photos of Laurence Olivier. Vivien’s maids Trudy and Pearl help her dress for the play. 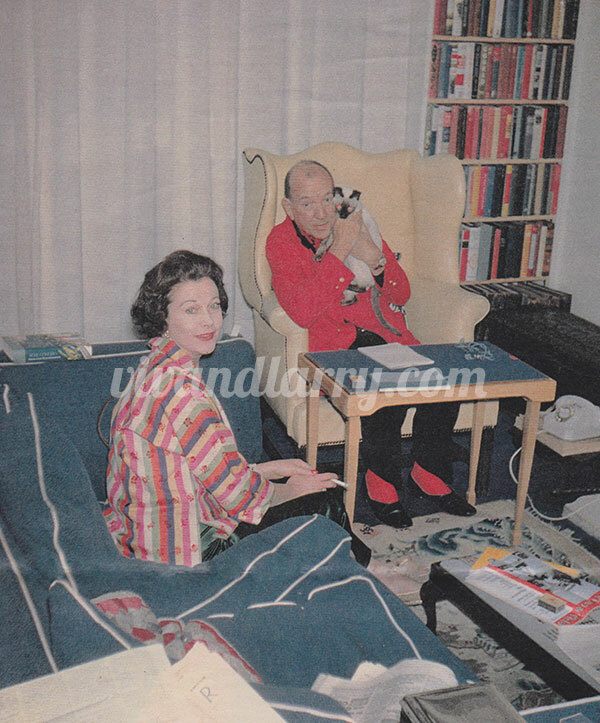 Vivien relaxing with her good friend Noel Coward (holding Vivien’s cat Poo Jones). Isn’t her top fabulous? Vivien with Poo Jones in Hollywood, 1960. 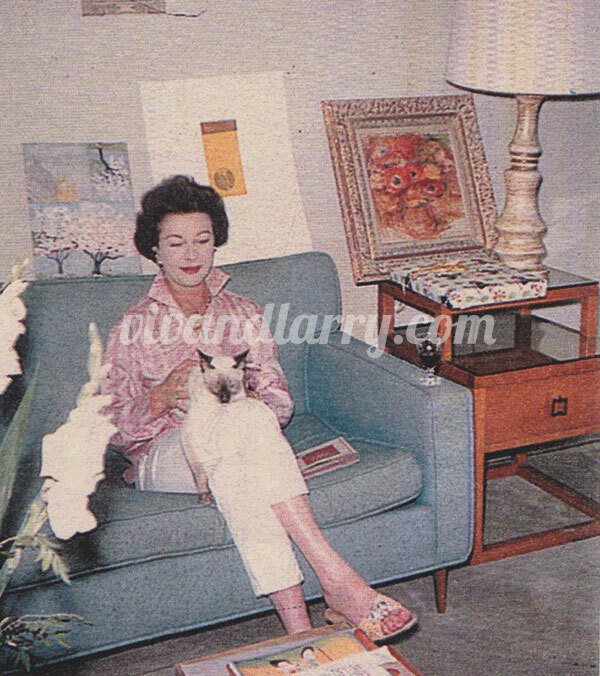 Behind her are some of her favorite pictures, including a Renoir, which she brought along to spruce up her hotel room. Vivien entertains over lunch at Tickerage Mill. 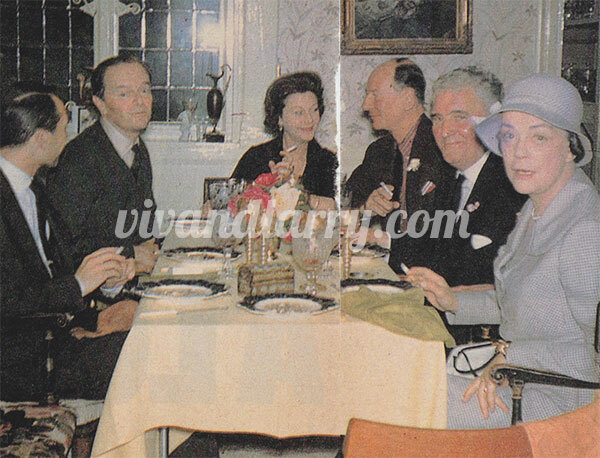 Seated from L-R: Actor and interior designer Paul Anstee, Sir Kenneth Clark, Vivien, John Gielgud, journalist Alan Dent, and Lady Jane Clark. A rare photograph of Vivien without make-up. Pictured here at another Tickerage lunch gathering with (L-R) costume designer Beatrice “Bumble” Dawson, Robert Helpmann, and Consuelo Langton-Lockton. Despite having just officially ended her marriage to Laurence Olivier, Vivien saw out the end of 1960 in colorful fashion. She was about to begin filming The Roman Spring of Mrs. Stone and planned to lead an Old Vic tour of Australia and South America. 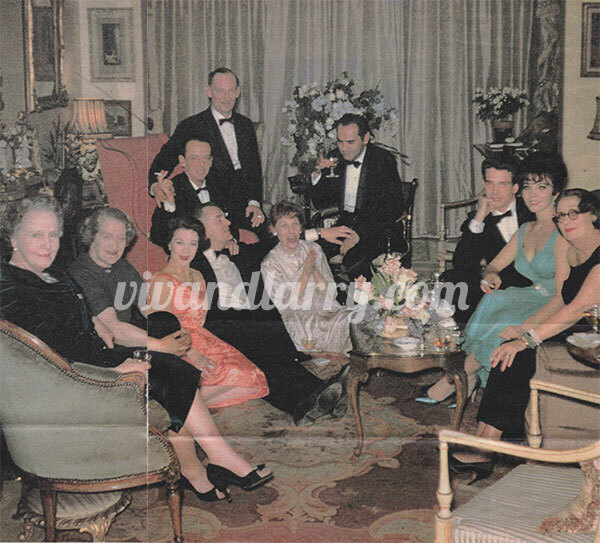 Pictured L-R: Gertrude Hartley, Vivien’s cook Mrs. Mac, Vivien, theatre director Michael Benthall, Robert Helpmann, Alan Webb, Lotte Lenya, director Jose Quintero, Warren Beatty, Joan Collins and costume designer Beatrice “Bumble” Dawson. 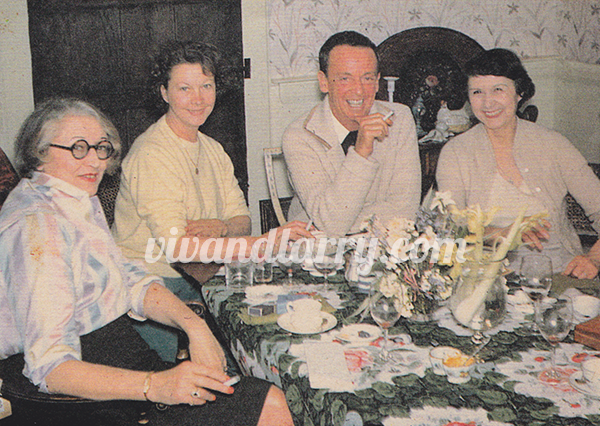 Love the colour photographs, especially the one of Vivien without makeup. It really brings her to life as a normal person, if that makes sense? Lovely post, loved seeing these pictures Kendra! I love the one without make-up as well. Firstly, she looks beautiful. But it’s also very rare to see her without anything on her face! 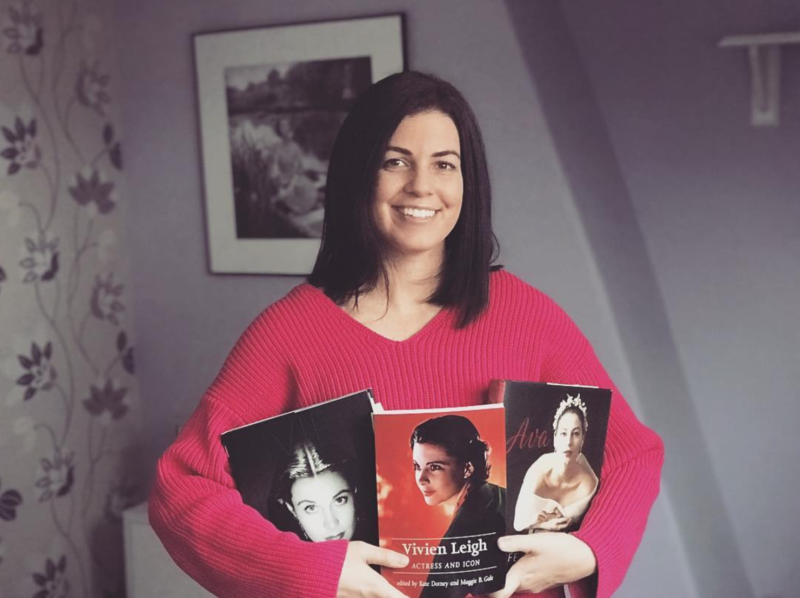 I believe the black and white photo held up behind her while making up at the dressing table, is a photo of her presenting at the Tony awards in NYC in the early 1960’s. The video of this presentation, I saw it a while back but recall she present two awards, can be seen in NYC at the Museum of Television and Radio on W52 street. These exact photos are in a Sunday Times Supplement from about 15 years ago that I have…in colour as well..
Oh, thanks for telling me the publication! I’ve just got the article but it didn’t say where it’s from on any of the pages. Wonderful shots… As you very well put it, the “real” Vivien appears. lovely to see these colour photos, so nice to see her with friends looking natural, thank you for sharing these.